The picture of the Giants finger was taken by well known researcher “Gregor Spörri” in Egypt in 1988, but have only just been released. 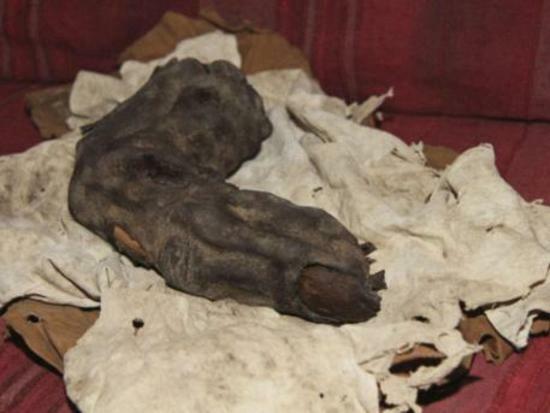 The mummified finger would be considered to be human except for the fact that it is way, way too large to have come from a human hand. The finger was reported to have been taken to the museum in Cairo. Unfortunately, this finger is not and was never, housed in any museum in Egypt. The researcher now says that he took the pictures after he reportedly had to pay “an old man from a grave robber dynasty” 300 dollars to see it and take pictures of it.